The independence referendum in Scotland on September 18 became a mass electoral revolt against the austerity policies of British capitalism and the right-wing Cameron government. The Committee for a Workers’ International (CWI) and its Scottish section supported a Yes vote for independence from the United Kingdom, but argued this must also be linked to a struggle for socialism in Scotland and internationally. 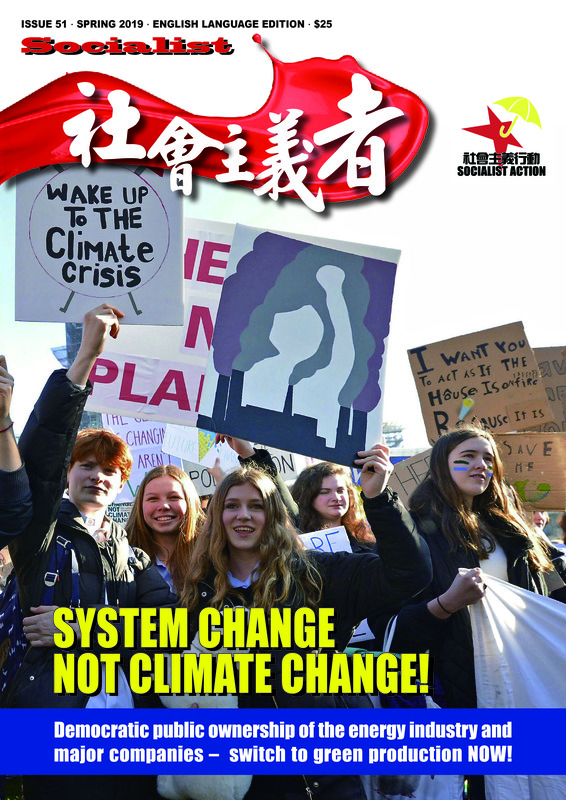 Here are two articles by Philip Stott, one of the leaders of Socialist Party Scotland (CWI), and by Peter Taaffe, General Secretary of the Socialist Party (CWI) in England and Wales. 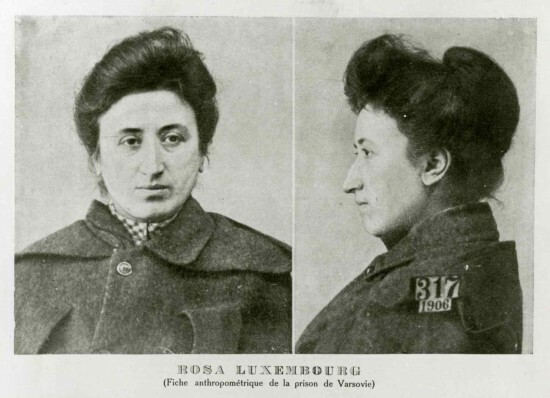 These draw out important lessons for socialists in how to approach the national question. It should be noted that the ruling classes of almost the whole world supported the British capitalists in opposing Scotland’s breakaway, as did some sections of the left. The leaders of the European Union feared that a Yes vote in Scotland would trigger a chain reaction of similar demands in countries like Belgium, Italy, and especially Spain, where national and linguistic divisions have widened as a result of the capitalist crisis. One German politician expressed his relief with the No victory in Scotland because, “It prevents further fragmentation of Europe.” US president Obama gave his support for the No side, as did former president Bill Clinton. China’s Premier Li Keqiang also said he wanted to see a “united” United Kingdom, which is no surprise given the CCP’s deeply ingrained fears of ‘separatism’ in places like Tibet and Xinjiang. Some opposition groups in China and Hong Kong have drawn the conclusion that the mere fact the British state agreed to hold a referendum in Scotland is a testimony to its strongly ‘democratic’ nature, something that would be unthinkable in authoritarian states such as China. But this view is superficial and mistaken. Belgium and Spain, also capitalist ‘democracies’, have outlawed similar referendums on independence among their own minorities, and the leaders of these countries were embarrassed and angered that Britain’s prime minister David Cameron had blundered into calling the Scottish vote. In fact, Cameron took this decision at a time when opinion polls showed only around one quarter of Scots favoured independence. He believed then in a crushing victory that would bury the spectre of independence forever. This completely misfired, with support for Yes surging once the campaign began and the Scottish masses realised they had a unique chance to hit back through the ballot box against decades of anti-working class policies and neo-liberalism. This was despite the pro-capitalist position and extremely limited programme of the main independence party, the Scottish National Party (SNP), which runs the devolved Scottish government in Edinburgh. The British government and all major parties including the pro-capitalist opposition Labour Party, then unleashed what became known as “Project Fear” to terrorise the population of Scotland with the scenario of economic collapse and high unemployment if the Yes vote won. 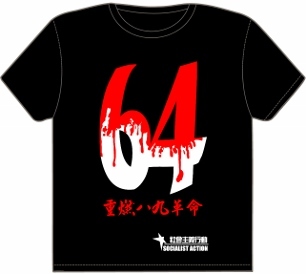 It is also worth noting the confusion among Hong Kong’s nativist groups on this issue. On the one hand the nativists flirt with the idea of Hong Kong independence, but on the other hand many also have illusions in the British capitalist state. This plunged them, not for the first time, into a confused state of silence over what was happening. Britain’s prime minister David Cameron blundered into calling the Scottish referendum. In the teeth of a ferocious campaign from the British capitalist establishment, the independence campaign in Scotland won the support of more than 1.6 million people in Scotland, overwhelmingly from the working class, securing 45%. No won with 55%. 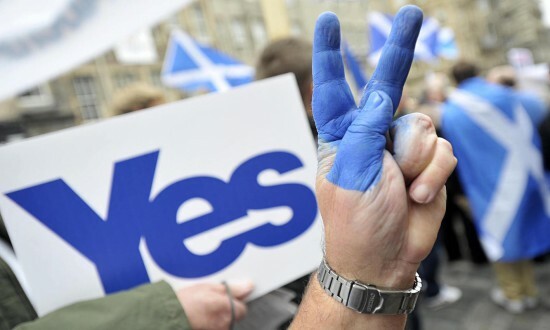 According to the YouGov polling organisation support for independence stood at 24% in January 2014. This increased by 21% in nine months as hundreds of thousands of working class people poured into the Yes camp seeking fundamental change and an escape from austerity. There was a very real threat of a Yes majority in the 10 days before the vote which rocked the capitalist establishment to its foundations. However, a combination of panicked late promises of more devolved powers for Scotland and the unleashing of “Project Fear on steroids” by big business, the capitalist media and the Tory, Labour and Lib Dem parties, to save their class interests, secured a No majority. The fact that so many working class and young people people refused to be cowed and voted Yes reflected the desire among the “victims” of austerity to use the referendum as a weapon to hit back at the political establishment. The charge of intimidation aimed at Yes supporters, and made by Labour and the bosses’ press, is farcical. Project Fear was real intimidation. As is the savage austerity that is destroying working class lives and communities day-in and day-out. Moreover, the immediate legacy of this brutal intervention by the capitalist class is a radicalised and energised working class in Scotland who have been “educated” as to the lengths that the capitalist elite are prepared to go to defend their own interests. The overwhelming mood of those who’ve voted Yes is naturally disappointment, but also that the fight against cuts and for a new political future for Scotland goes on. Indeed, that the momentum needs to be stepped up in the aftermath of the referendum. Many of these angry and energised working class people can be won to socialism and to a new mass working class party in Scotland. This task of establishing a new political force for the working class is something that socialists and trade unionists need to urgently turn their attention to following the referendum. A colossal 3.6 million voted in the referendum, an 85% turnout which broke all records. The turnout in working class areas was unprecedented. In housing schemes across Scotland it reached 70% plus. This compares with average turnouts in council elections of 25-30%. Hundreds of thousands of working class people voted Yes, seeking an escape from brutal austerity and the capitalist political elite who are implementing these cuts. Working class strongholds including Scotland’s largest city Glasgow, Dundee, North Lanarkshire and West Dunbartonshire voted Yes. Working class communities in cities and towns across Scotland also saw a majority voting Yes. Some workers did vote No, many reluctantly, when faced by the tsunami of threats and blackmail by big business and the media that jobs would go, companies would relocate to England and that working people would be worse off under independence. The media was overwhelmingly savagely hostile to independence. Only one newspaper in Scotland, the Sunday edition of the Herald, supported a Yes vote. The naked bias of the BBC caused outrage and exposed the corporation as an arm of big business interests. The failure of the SNP leaders to respond to these attacks, emphasising their desire to cut taxes for big business and seeking a currency union that would have caught an independent Scotland in an austerity trap, left the propaganda of Project Fear largely unanswered. Another key factor in the result was a lack of confidence in the SNP leadership’s proposals for an independent Scotland, which were predicated on a continuation of capitalism and no clear end to cuts. The lack of trust and confidence in Alex Salmond and the SNP was continually expressed by many during the campaign. Most people, when polled, believed that Scotland and their own families would be worse off economically under the SNP’s version of independence. Had a mass working class party existed it could have mobilised far greater support for a Yes vote based on a clear policy to end austerity, for public ownership, a living wage etc. That means a socialist Scotland that would deliver for the millions rather than the millionaires. The turnouts and mass enthusiasm for Tommy Sheridan and the Hope Over Fear tour, which Socialist Party Scotland played a leading role in, underlines that potential. It’s urgent that moves to build a new mass party are taken now to provide a new political home for the working class. If there is a delay in this development there is a danger that the opportunity can be lost and the pro-capitalist SNP can gain instead. Even Labour, despite its betrayals, could pick up short-term electoral support in the Westminster elections next year, when the question of removing the Tories from government is posed. As Socialist Party Scotland predicted the referendum was used as a weapon by huge numbers of working class people to protest against the political elite and the austerity they are inflicting on communities across the country. There was therefore a marked class differentiation in the vote. The more affluent middle class and rural areas of Scotland voted heavily for No. As did a big majority of the over 55’s. While the turnout was high across Scotland, it was at its highest in middle class and rural areas that were mobilised to try and ensure the defeat of a Yes majority. This included areas where the SNP have had their traditional base of support. The outcome of the referendum is ultimately an empty victory for the capitalist class and the political elite. It has ushered in a new and unstable situation for British capitalism. The conceding of more widespread powers for Scotland is now unavoidable. Demands for more devolution for Wales and Northern Ireland will also increase, as will calls for forms of devolution in England. But the issue of Scottish independence has not been “settled for a generation” as claimed by Cameron. The demand for another referendum will grow. Especially following the Westminster elections in 2015. All the main parties, including Labour, will continue with austerity and Tory cuts. Incredibly, Labour’s leader in Scotland Johann Lamont described the vote as a “victory”. Labour’s former working class base has been decimated and they will not be forgiven for the role they have played. The limitations of the pro-capitalist SNP leadership has also been exposed. 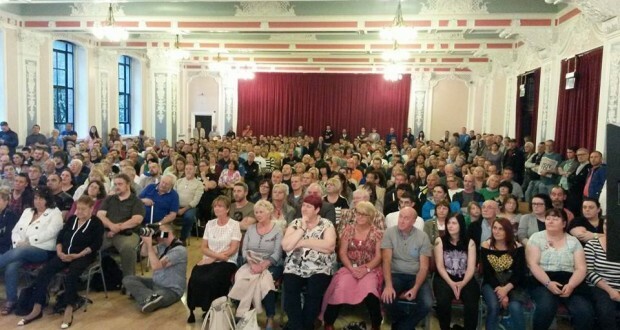 The potential for a new mass working class party in Scotland has grown enormously during this campaign. Urgent and concrete steps need to be taken to capitalise on this in the weeks ahead. There will be both disappointment and a real and lasting anger among thousands of working class people at the outcome of the result. Protests and demonstrations are likely to take place in the next few days. The feeling that the media, big business and the political establishment need to be taken on will grow in the aftermath of the referendum. There is no possibility that the huge radicalisation of working class people that has taken place through the referendum will be dissipated as long as this mood and combativity is built on. Not a penny more in Westminster cuts to be implemented in Scotland by the SNP government or Labour and SNP councils. Set needs budgets that defend jobs and public services. Build a mass movement of strikes, demonstrations and mass protests against austerity. Trade unions must build mass coordinated strike action in Scotland and throughout Britain. Socialist Party Scotland (CWI) helped organise huge meetings like this one in Dundee to hear the socialist case for independence. The independence referendum in Scotland was remarkable for many things: the huge politicisation and class polarisation, combined with the beginning of mass intervention in politics, particularly by the most oppressed sections of the working class, shaping their own destiny. This was hitherto seen as the preserve of the self-appointed, stifling elites who dominate what passes for political discourse in Britain. The referendum, with its heightened passion, has altered the political landscape of Britain: ‘things will never be the same again’, as even capitalist commentators have observed. One of its most striking results was the effect that it had internationally. A country with a similar population to the historic county of Yorkshire, and half that of greater London, albeit with a proud history of working-class defiance, shook Europe and the world to their foundations. World leaders, from Barack Obama to the Chinese head of state, Xi Jinping, drawing in the Pope on the same side as the Orange Order, were lined up to urge frantically the rejection of Scottish independence. The British ruling class which, within living memory, ruled one quarter of mankind – with its prestige and what remains of its world reputation at stake – was so terrified of a Yes vote that it outdid itself in venom against those advocating independence. “The world is saying no to Scottish separation”, shrieked Phillip Stephens in the Financial Times. A few days before the referendum took place, the same journal reflected the sheer terror of the capitalists: “Ruling elite aghast as union wobbles… Business onslaught over Yes vote… Business 90% against Yes”. Surprise, surprise, the International Monetary Fund was also conscripted to the anti-independence bandwagon and warned “Recession risk in markets”. Alan Greenspan, former chairman of the US Federal Reserve and fresh from presiding over the greatest financial and economic disaster witnessed since the 1930s, returned from internal exile to warn that “a Yes vote would be an economic mistake for Scotland [and] a geopolitical disaster for the west”. And if Scotland had actually voted for independence, it would be punished: “The Scots will discover the taste of austerity”, warned the FT.
Why this hysteria, a seeming absence of any sense of proportion when judging the events in Scotland, on the part of these mandarins of capitalism? The explanation is to be found in the opposite yet equally powerful response that events in Scotland have enthusiastically evoked among the masses in Europe and elsewhere, with many countries facing their own explosive national question. Mariano Rajoy, Spanish prime minister, and his foreign minister, with the Catalan masses breathing down their necks, naturally viewed Scottish independence quite simply as a ‘catastrophe’ which would, they claimed, “worsen the economic slump in Europe and risk the EU’s disintegration”. 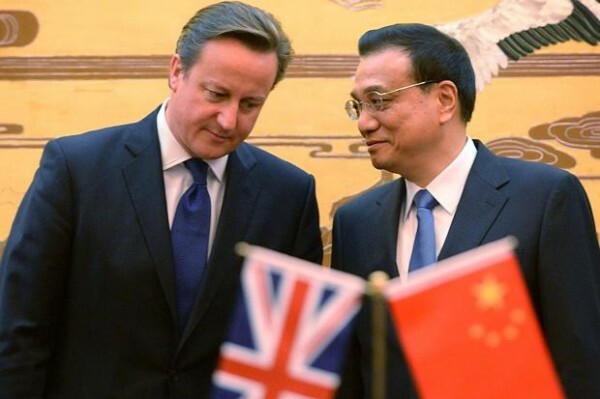 China’s Premier Li Keqiang expressed support for Cameron and the No camp. The Yes campaign provided a huge opportunity to strike a blow against the plans of British capitalism for systematic attacks on the working class. Hence the Yes placards that declared “an end to Tory rule for ever”. Unfortunately, that would not have followed independence, automatically, in the sense of an end to cuts and support for pro-big business policies, with an SNP government speaking out against austerity but implementing it in practice while continuing to rule Scotland. But it showed the class feelings behind the demand for independence. It is incredible therefore that even sections of the left, like George Galloway, bitterly opposed independence on a shared platform with Tories, Liberal Democrats, as well as an increasingly discredited Ed Miliband in the No camp. Despite his heroic stand in the past against the Iraq war, as well as his championing of the general case for socialism, Galloway was roundly booed by significant sections of the young people gathered at the debate for 16-year-olds. But he was not alone, especially when he falsely claimed that “austerity is ending” and “a 1945-style Labour government” was in prospect for 2015. The Communist Party of Britain (CPB), linked to the Morning Star newspaper, also found itself on the wrong side of history. “A No vote in the referendum has to be made the springboard for the mobilising of the working-class movement at British level to demand real constitutional change”, was its position. (Statement on Scottish independence, 4 March 2014) Just how this is possible when you oppose the aspirations of the mass of the Scottish working class remains a mystery. The CPB’s reasons for opposing the Yes vote? “Membership of the sterling area which subordinates Scotland to the current neoliberal policies without any power to change them, at the same time seriously erodes the opportunity for united working class action across the nations of Britain… Worse still, membership of the EU would oblige Scotland to incorporate in any written constitution the terms of the 2012 Treaty of Stability, Coordination and Governance”. Only the CWI has had a consistent position on the national question, both in Britain and internationally. The Socialist Workers’ Party (SWP), for example, in the 1970s debate over devolution, declared: “If a referendum is eventually held in Scotland and Wales we abstain. This is not a position that means ducking the arguments… Our abstention will mark us out from the rest of the labour movement, retreating in fear before the new reformism, without aligning us with the unionist, British, nationalist camp”. (The National Question, September 1977) Like a leaky umbrella that does not work when it is unfolded, this policy was unceremoniously abandoned without explanation. The forces of the CWI that participated in the Scottish referendum did not fall into the trap of bolstering the SNP. While energetically supporting the Yes campaign in general, the Socialist Party Scotland (SPS) collaborated in a splendid independent, working-class orientated and effective campaign, which drew in hundreds and thousands of enthusiastic Scottish workers alongside Tommy Sheridan and prominent SPS members. Even Rupert Murdoch, in a backhanded compliment, recognised this when he complained that too many “lefties” were prominent in the Yes campaign. If ever there was an example of the kind of ‘nationalism’, reflecting the “outer shell of an immature Bolshevism”, about which Leon Trotsky spoke, it was in the solid working-class vote for Yes in this referendum. ‘Independence’ was organically linked in the minds of the masses with complete independence from those who imposed the poll tax in the past, the bedroom tax today, the persecution of the disabled and sick, etc. The ferocious No campaign in the last stages had an effect. Matthew d’Ancona wrote in the Sunday Telegraph: “Lord Ashcroft’s post-referendum polling shows that 19% of those who voted No made their decision to do so in the past month – a vindication of the frantic campaigning by the Unionist side in that period”. However, this has created almost as many problems for the British ruling class as a Yes vote would have done. Cameron, the gambler that he is – ‘chancer’, according to the Sunday Telegraph – within hours of the result being announced, stated that he would ‘honour’ his promise to deliver more powers on tax and welfare to the Scottish parliament. But he added the twist that “new powers for the Scots should be balanced by new rights for the English”. There was an implied threat that, if this was not agreed, then the ‘vow’ of devo-max for Scotland would be withdrawn. However, this would be “incendiary” in Scotland, as the retiring SNP leader, Alex Salmond, said. Cameron has no choice but to give concessions or he will face a bigger uprising than witnessed in the referendum. His proposal is clearly designed, with a general election months away, to appeal to English nationalism, with the added advantage, he believes, of outfoxing Ukip and, at the same time, wrong-footing Miliband and the Labour Party. Their reasoning goes that, even if Miliband wins in May next year, he will not be able to implement his programme because Scottish MPs will be debarred from voting on crucial issues – the so-called ‘West Lothian question’. Yet Will Hutton in the Observer pointed out: “The McKay commission, on the impact of devolution on British government, pointed out there have only been two electoral periods since 1919 – 1964 to 1966 and between March and October 1974 – when the party in government had not won a majority in England. Moreover, [the online democracy project] mySociety finds that of 5,000 votes in the House of Commons since 1997, only 21 depended on the votes of Scottish MPs”. Unfortunately, however, instead of striking out boldly to lay the basis for a new party of the working class, Tommy has now stated: “I suggest we in the Yes movement promote continued unity by backing the most likely independence supporting candidate at next May’s general election. In concrete terms that means advocating an SNP vote to try and unseat as many pro-No party supporters as possible”. Thousands of socialists, therefore, will be behind a pro-cuts agenda if Tommy’s suggestions are accepted, with socialist policies postponed to an indefinite future in the ‘national cause’. What is this except a disastrous repeat of 1918 in Ireland when the Irish nationalists also argued ‘labour must wait’, and the craven trade union leaders like Thomas Johnson acceded to this? Irish labour left the field free to the nationalists and Sinn Fein with disastrous results for the working class. Tommy also states: “We should insist all pro-independence candidates in the 2016 Scottish election commit to a March 2020 referendum”. How timid! Why wait four years to implement a referendum? Indeed, with a massive new mandate, why would a Scottish government necessarily go for a referendum as the route to independence? But if it did, it would be able to go for it immediately and score a stunning victory. But his proposals should be rejected for other reasons as well. He states: “Unity is strength. Don’t let our differences weaken our cause”. But this does not apply between parties based on the working class and those pro-capitalist parties like the SNP who inevitably betray the aspirations of those who are seduced into supporting them. If implemented this would cripple the independence of the Scottish working class and its ability to resist the onslaught of the capitalists politically. The campaign has shown what an independent socialist campaign could achieve. It is necessary to build on this. This is the real lesson of the Scottish referendum. The idea that independence for Scotland is off the agenda “for a generation”, as Salmond said, is totally false. The genie is out of the bottle and the demand for an independent, socialist Scotland will grow in intensity as the crisis of capitalism worsens and provokes a mass revolt. The great Marxist thinker and fighter Rosa Luxemburg who nevertheless made mistakes over the national question.